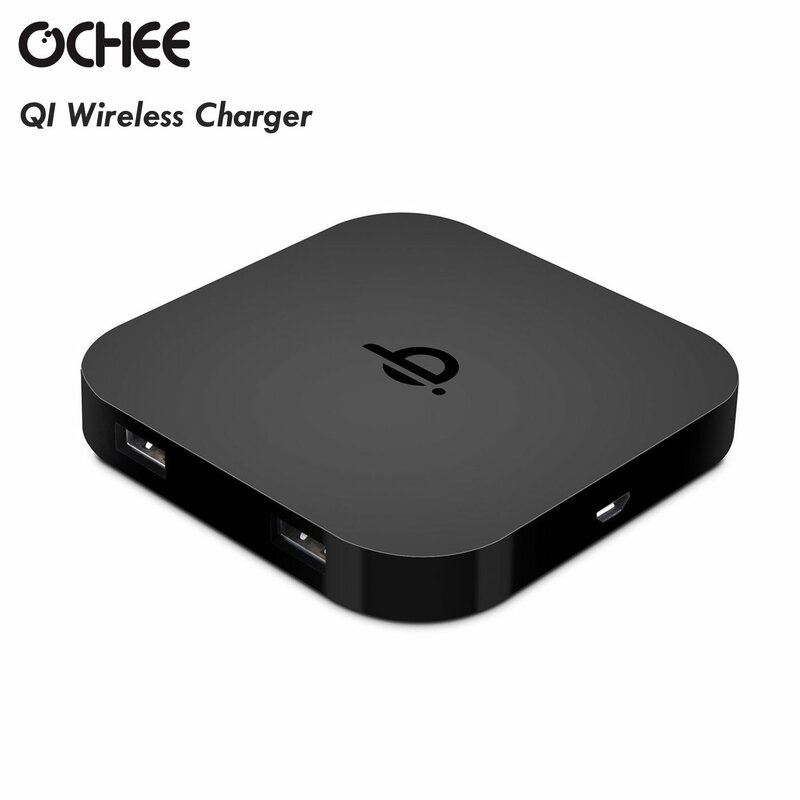 I just recently got a Ochee wireless charger. This is a product you can charge up on your computer or USB charger and once it is charged carry around with you as a back-up charging source for your phone or other electronic devices. This one seems to be designed for any device you might have that uses a USB charging cord. There are so many products like this so let me tell you what I like about this one that seems to set it apart from other products that provide the same benefits. The wireless charger is very small and slim. Most of these power devices are bulky and are kind of a pain to take around with you. This one is the size of a smart phone and it isn’t much thicker then one either! You can literally fit it into the pocket, backpack, purse. It’s a nice flat, small, sleek charger. You can shove it in your bag, backpack or purse and take it with you anywhere you go! Super convenient and I am more likely to use it compared to some of the other products I have tried in the past because it is really easy to transport. General Wireless charging ability:Just put down any QI-enabled device or device equipped with a QI-compatible receiver and it will start to charge.No cable or USB interface required.Very easy to use.The additional two USB interface just let you charge another two devices with USB cable at the same time.That means,you can charge THREE devices with this charging pad at one time.One via wireless technology,the other two via USB interface. Smart LED indicator will display the charging status.What’s more,the intelligent induction will prevent overcharging with standby mode once your device is fully charged.Never overcharges your battery or wastes energy. OCHEE® offers a Simple Portable Design(3.5 × 3.5 × 0.25 in size,8mm ultra-slim thickness).Very convenient for business trip or going vacation. Input: 5V / 2A; Output: 5V / 1A.It’s compatible with various kinds of smart phones which is QI-Marked like Samsung Galaxy S6/S6 Edge.But some of the smart phones need one extra QI-receiver module such as iphone 6/6plus,Samsung Galaxy Note 4,Note 3.The following product description will tell you if your device is compatible with OCHEE® QI wireless charger. Trademark OCHEE® belongs to 7Felicity.7Felicity offer the best products to our customer.We trust in our products,so we provide one Year warranty & 40 Days Money Back without any dispute. You can purchase it on Amazon!